It is a knockdown drag-out between the world’s richest man and the world’s favorite French socialist intellectual. (Okay, okay. It is a respectful back-and-forth about a hugely important and complicated topic.) And Piketty emerges the better. To step back and aid those who did not read the massive French tome, here are the crib notes. Capital describes the increasing concentration of wealth in the hands of the wealthy, in countries including the United States. It then argues for a new tax on wealth to counteract it. Gates argues a number of points. 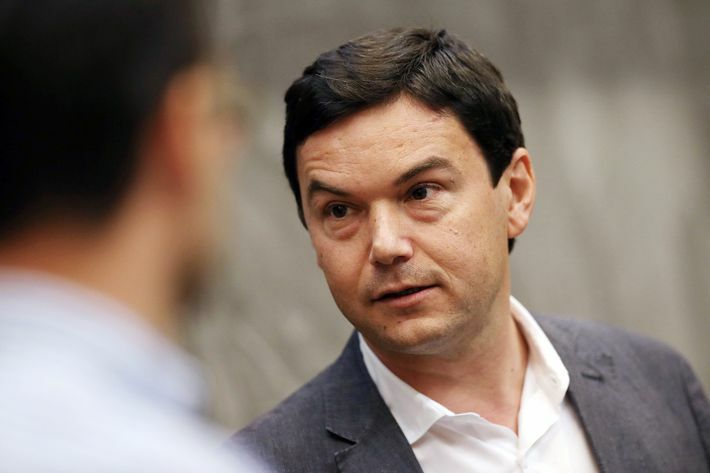 He believes that Piketty does not focus enough on consumption inequality — fair enough, though the book is about wealth inequality — and that he does not differentiate between the good rich investing in businesses and the bad rich simply consuming their wealth. For proof, he looks at the Forbes 400 list of the wealthiest Americans. Half are entrepreneurs who made their own fortunes, Gates notes. “Contrary to Piketty’s rentier hypothesis, I don’t see anyone on the list whose ancestors bought a great parcel of land in 1780 and have been accumulating family wealth by collecting rents ever since,” he writes. This is a weird, weird telescoping. Piketty is not arguing that the United States has a tradition of dynastic wealth that explains its inequality. Rather, he shows that wealth inequality has ballooned of late, meaning in the past few decades, driven by an increase in income inequality. Figures published today show the top 0.1 percent of households now own more than 20 percent of overall wealth, up from less than 10 percent in the late 1970s. Those numbers being what they are, though, we might be entering an age of dynastic fortunes. 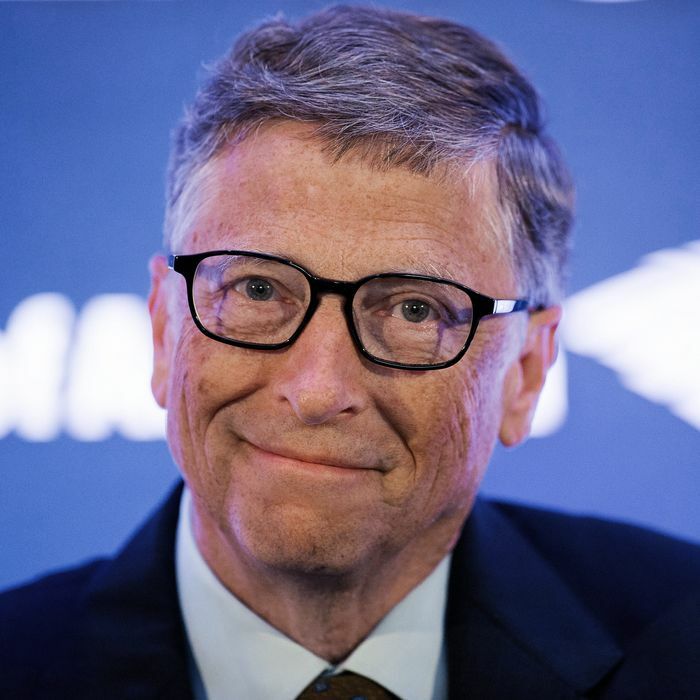 Many of the individuals who have accumulated vast sums — like Gates himself — are still alive. Put billionaires in an age bracket, and there’s a big hump around 55 to 64, with fat tails on either end. The average American billionaire is in his early 60s. At some point in the coming decades — short of a scientific miracle — those billionaires will have to transmit their fortunes to the next generation. That could mean wealth inequality would ease, as large fortunes get split up and squandered. But I am skeptical. Let’s say a billionaire goes to meet his maker and his four children split his fortune equally. Each is now worth roughly $250 million. Wealth inequality has decreased, in a mathematic sense. But the money still remains hugely concentrated. Moreover, each of those princelings now has a huge leg up in building his own billion. There is some evidence that this big, fat generational transfer has already started to happen. The class of billionaire that is growing fastest in the United States, according to a study this year from UBS and Wealth-X, are individuals who inherit large sums of money and then make more on top. Gates is correct that philanthropy could lead to a meaningful dissipation of wealth, but I fear that he is talking his own book here. He, Warren Buffett, Mark Zuckerberg, and a number of very rich people have promised to give away the vast bulk of their fortunes. But a few loud outliers do not describe a trend. That Wealth-X study found that billionaires tend to give away but small slivers of their wealth. And there is no evidence that the country’s 1 percent or 0.1 percent, writ large, are becoming more philanthropic. To be fair, the Microsoft billionaire does note that he supports higher inheritance taxes and a consumption tax to reduce inequality. (Consumption taxes tend to be regressive, as poorer families consume higher proportions of their incomes. But there are ways to account for that.) With the chance that any of these policies would come into effect looking slim, though, it looks like inheritors might prove to be the real long-range winners.